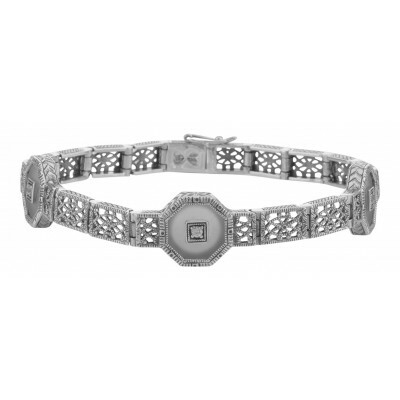 Lovely Art Deco Style Sterling Silver Filigree Bracelet - Crystal and CZ's - it measures 7 1/2 inches in length x 1/4 inch wide with the crystal shapes measuring 1/2 inch wide. 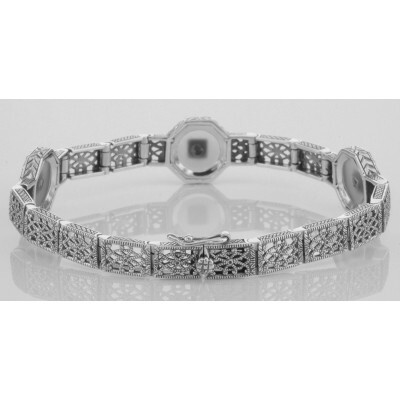 Please see our complete selection of fine sterling silver filigree bracelets. 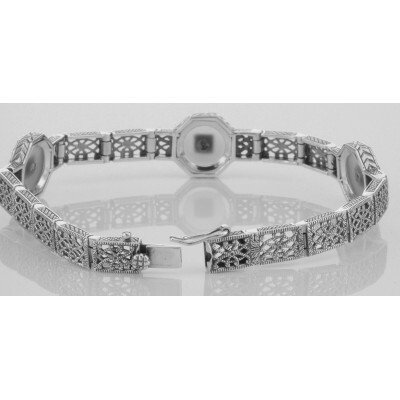 This filigree bracelet is new and a quality sterling silver antique and collectible reproduction. All of my pieces are high quality sterling silver. You may see the word Sterling or a mark of .925 for 925/1000 pure silver. 7 1/2 inches in Length - 1/4 inches wide at narrowest part and 1/2 inch wide with the crystal links.